Over on Reddit people are confused by this photo. “This is the same photo, side by side. They are not taken at different angles. Both sides are the same, pixel for pixel.” writes djeclipz over on Reddit. “Will someone please explain why my brain is lying about what my eyes are seeing? 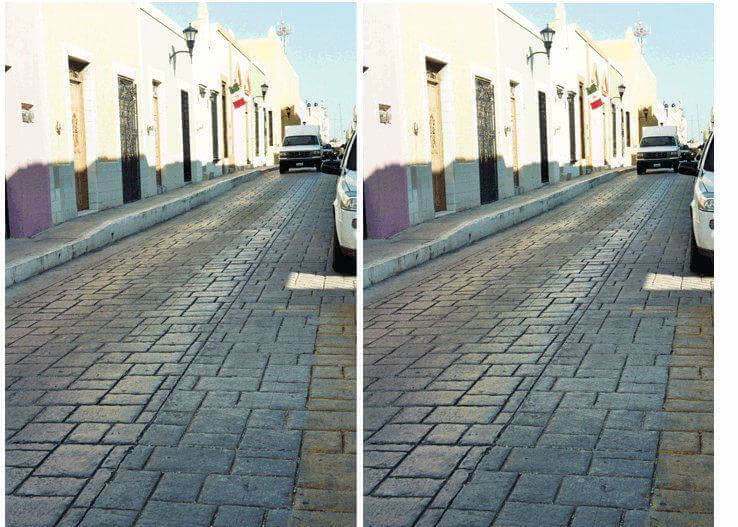 Is it the angle of the white pavement on the right that’s making the illusion? Wtf?” writes EllenRipley2000. “I had to see it for myself. Mind blown.” writes alkaline810.